This entry was posted on September 12, 2018 by chris elliott. 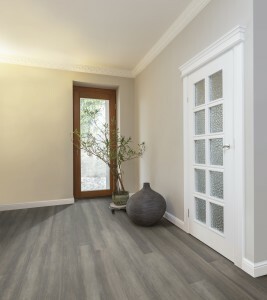 Grey bamboo flooring is quickly becoming very popular. Traditionally bamboo floors could only be found in a natural or carbonised colour. Over the last few years, more an more colours and styles of bamboo flooring are available. Grey seems to have been one of the top flooring trends for the last few years, and is still going strong. Our stone grey bamboo flooring tends to match most decors and colours schemes, while bring a sophistication to you home. You can even find matching stone grey flooring accessories, like skirting, beading, stair nosing, thresholds and ramps. These will help you to add the all important finishing touches to your room. Always be sure to order your free samples of bamboo flooring before you buy. This will give you the opportunity to see the actual colour of the floor. Sometimes a picture can look quite different to the actual product. How is Grey Bamboo Flooring Made? Bamboo is obviously not naturally grey in colour. This means that the grey effect must be added to the flooring during manufacturing. Firstly, the planks of strand woven bamboo flooring are made using natural bamboo. The click fitting profile is added and then a colour stain is applied to the surface. In this case, layers of Stone Grey are added until the desired colour is achieved. Finally the planks of flooring a protected with multiple layers of lacquer. This shields the surface from daily wear and tear. To learn more about how grey bamboo flooring is made, have a look at: How are the different bamboo flooring colours created? Why choose grey bamboo flooring?